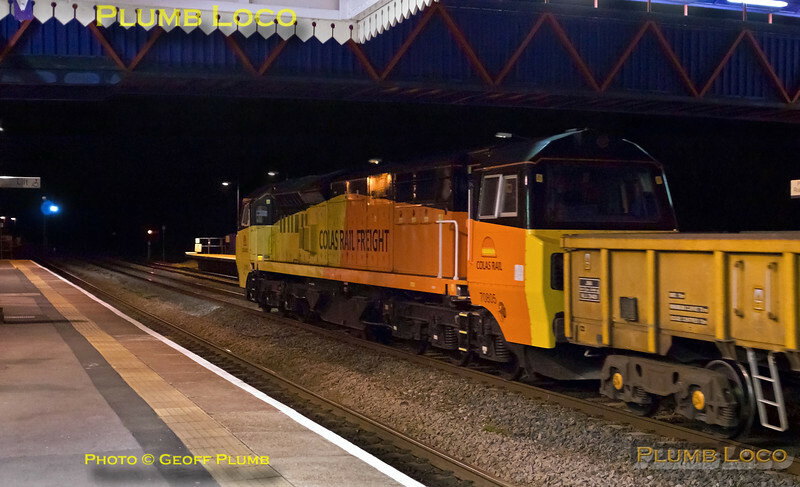 The first working of a Colas Class 70/8 loco along the Chiltern line was 6C21, the 20:34 from Hinksey Sidings to Southall East Junction via reversal at Banbury to Greenford and Southall. Here the train of empty box wagons screams through the centre road at Princes Risborough at around 60mph with 70805 in charge at 22:56½ on the evening of Thursday 17th April 2014. Digital Image No. IGMP3370.